Absolutely positive experience. Olga was extremely patient and always present, surrounded at all times by her professional team willing to make our wishes come true. We were completely satisfied about the results and so were all our guests. We strongly recommend it to the future Ibizan couples. Two thumbs up! We had always tought about getting married by the sea, and after searching for many places, we bumped into Olga. 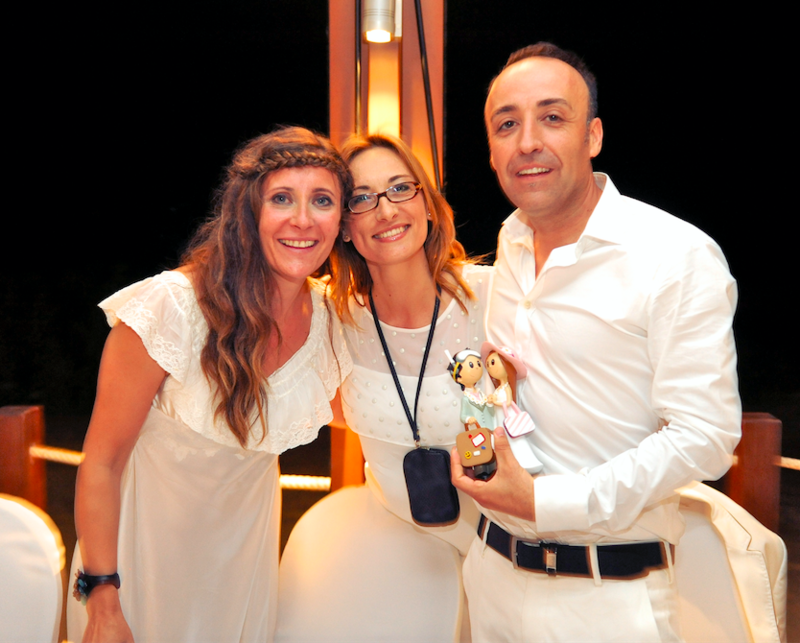 She designed the wedding we had in mind and we realized that what we wanted was to be found in Ibiza. I had many doubts about how to plan a wedding from the distance. It initially seemed so complicated. However, after doing the restaurant tests we came to the conclusion that we had definitely chosen the wedding of our dreams. The wedding day was even better and with Olga’s team the results were excellent. I would undoubtedly repeat that day without changing anything! And with the help of such a great human and professional team coordinated at all times by Olga Arce who is your companion and confidant during those moments before the wedding and the person who is in charge of everything to make the couple enjoy their big day. 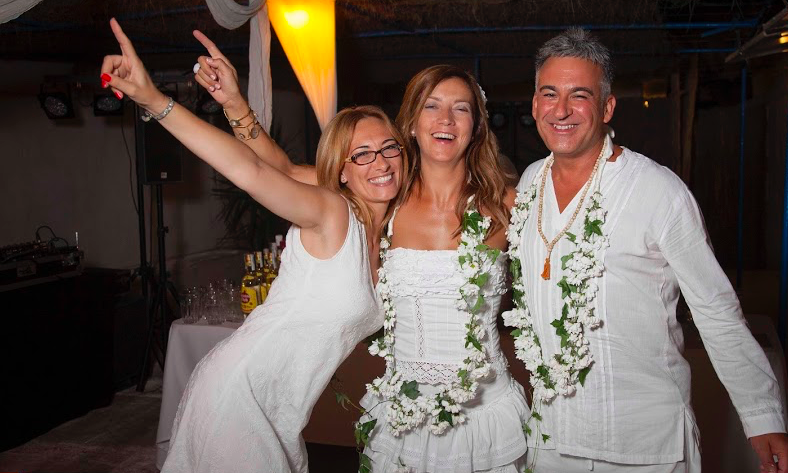 I had always dreamed about a wedding in Ibiza but I how could I have imagined such a beautiful and special place? The places that we were recommended according to our tastes were there, and Olga knew how to detect with precision what we were looking for. Her team gets involved in getting to know the couple as well as they can because, admittedly, each and every couple is different and has different needs. Thank you both to you Olga and your team. Neither my guests nor us will ever forget that day. We were absolutely charmed by everything: the wedding, the way we were treated and the service. I had never devised to contract a service like that for my wedding day, but without a doubt, it was the best we ever did. They adapted to us completely, to our tastes and more importantly to our budget. Olga is such a sweetheart and is someone who is trustworthy and reliable, which is very important. Everything went as according to plan and was marvelous. Afterwards when we watched our video I was speechless in awe. Had I known that it was going to be so good I would have contracted more time for more footage. Hence, I can only say good things about my experience and encourage the couples to contract this service, which will help them very much. They will get, just like us, and for certain, completely delighted. We want to thank both you and your team because everything went perfect and was much better than we had expected in the beginning. I would like to tell you that our guests are still telling us, days after the wedding, how much they had enjoyed it. As a matter of fact, yesterday I had the chance of speaking with 3 of them and they were still moved and cried over the phone for such unforgettable experience. Even Nora’s mother told me that it had been the second best moment of her life after the birth of her daughter. The fact of getting to know you has been a real pleasure and any other type of celebration I would like to do with you. That’s a good sign because celebrations are always a sign of happiness and you know how to make people reach it. It was a wedding just as we had dreamed it. It was not easy because we had a lot of guests but Olga know how to be present at all times and she could meet with our demands. Even today our wedding is subject for discussion in meetings. They want to know how she made it. My friends seek for advice. I would by all means work with Olga one more time. Such a great professional. Olga and her team are incredible; they can make the unthinkable a reality and in an easy and fun way. 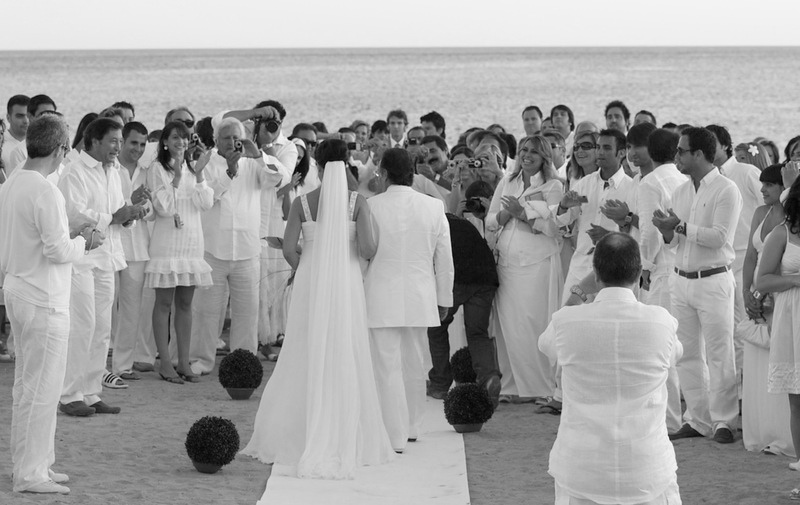 They listen, understand and translated in the best of the ways what the couple wish for their wedding day. They contribute to get not only the couple but also their guests live that day as one of the most impressive days in their lives. 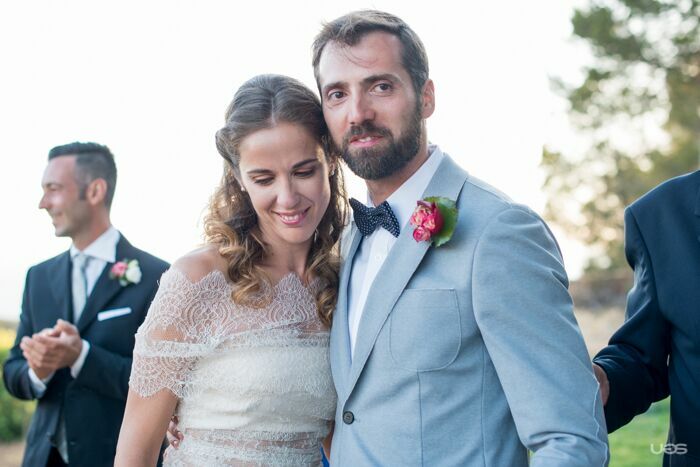 Our wedding day marks a one before and one after for our family and friends and it was all thanks to Olga Arce and to her people and team who took care of every single detail. With her everything is possible.